Originally, civil forfeiture law was designed to allow police to seize property from organized drug and criminal enterprises to prevent them from continuing and growing their illegal networks, often associated with the distribution of drugs. Today, however, the law has been used by police to seize personal items from individuals who are suspected of committing a crime. Sometimes, the property is taken even if the actual owners are not suspected of any wrongdoing, but the property itself happened to be involved in criminal activity. Technically, in civil forfeiture, the property itself is charged with a crime, not the individual, if police suspect the property of being involved in illegal activity. Therefore, in order to contest the seizure and to get the property back, individuals must prove the property's innocence in court. In Arizona, the owner must prove that the property belongs to them and that the property was not involved in criminal conduct. This is the opposite than the usual “innocent until proven guilty” principle which guides most judicial cases. In April of 2017, major reforms on civil forfeiture took place in the state of Arizona, which was previously considered to be one of the most lax states in regards to the process. For example, nearly $200 million in property and cash was seized in the last five years in the state, some of which money was never clearly accounted for. Often, the seized property goes to funding law enforcement and prosecution, so police have a vested interest in taking these assets. The new laws attempt to increase the burden of proof that police must have in order to seize property. Civil forfeiture can be one of the most frustrating judicial processes to deal with because they are different from common criminal charges. In addition, many people who have experienced civil forfeiture feel confused because they have personally not done anything wrong but have still lost valuable property and feel that they are being punished by the law. Unfortunately, laws surrounding civil forfeiture can be counterintuitive and complex, and taking the government to court to reclaim seized assets may be costly if you do not receive a positive verdict and prove ownership of your property. 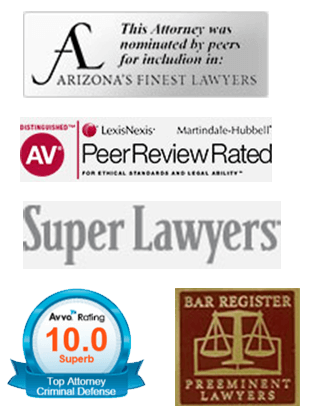 For legal counsel on your civil forfeiture case, call Steve Sherick and Adam Bleier today at (520) 318-3939 or contact them online.